This year will mark the second annual Lanphere Auto Group Thanksgiving Food Drive! 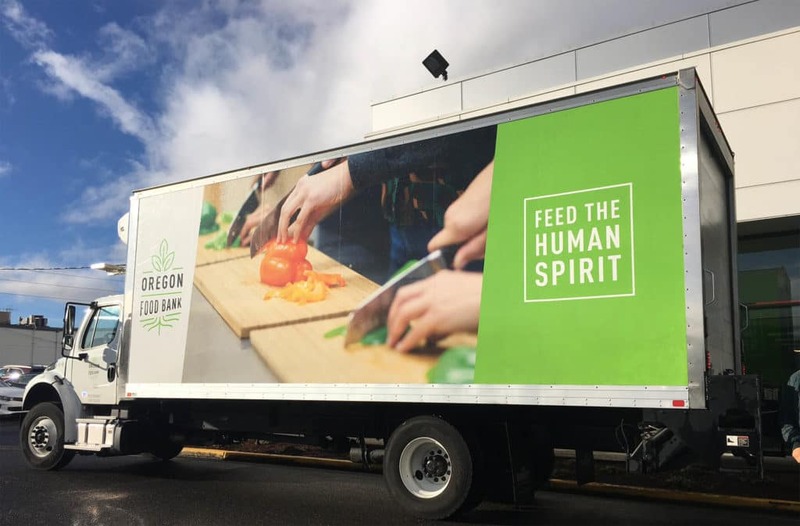 We are so excited to be partnering with Oregon Food Bank again to help end hunger in Oregon. Did you know that the rate of food insecurity (being without access to a sufficient quantity of affordable, nutritious food) in Oregon is 14.6%? Of the 552,900 Oregonians who are food insecure, 194,070 are children. How many times have you opened your pantry to look at the same canned food you bought a month ago with the best of intentions, only to close the cupboard and decide on something else for dinner? There are thousands of Oregonians who would be more than happy to have access to the food that we aren’t using in our own homes, and that’s where Oregon Food Bank comes in! They encourage you to donate healthy, whole grain, low-fat, low-sodium and low-sugar foods from your pantry (or the store!) Example foods would be beans, canned vegetables, dry pasta, shelf-stable milk, cooking oil, vegetable and fruit juice, soup, peanut butter, canned meat and canned and boxed meals. 0 comment(s) so far on Lanphere Auto Group’s 2nd Annual Thanksgiving Food Drive is on!